A peek into the layettes given to newborn babies. 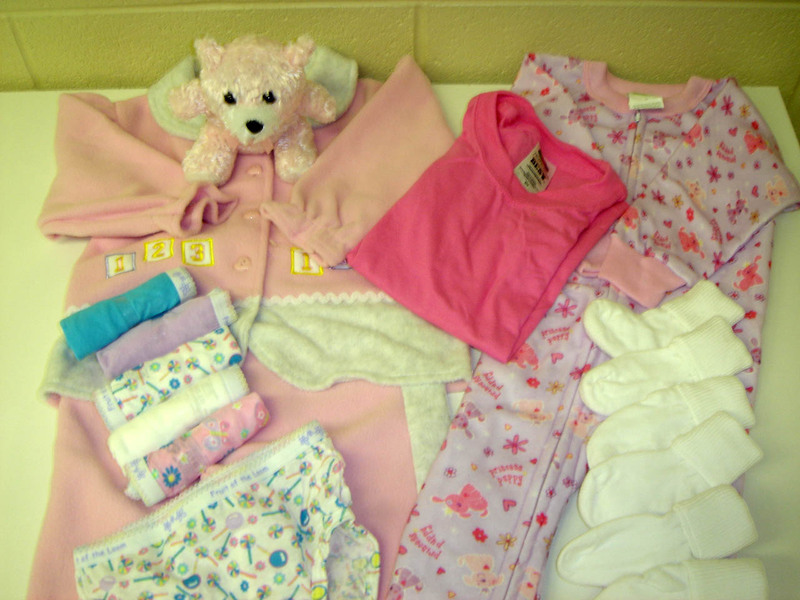 Layettes are distributed through Memorial Hospital and St. Joseph Health System. New shoes waiting for children to wear! 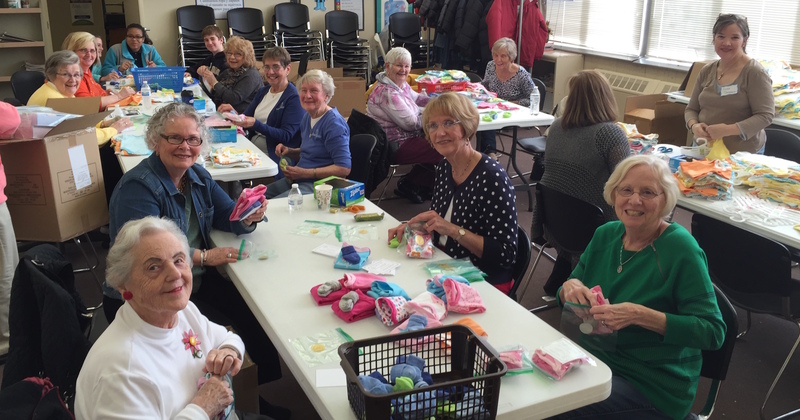 The Layette room is always busy! 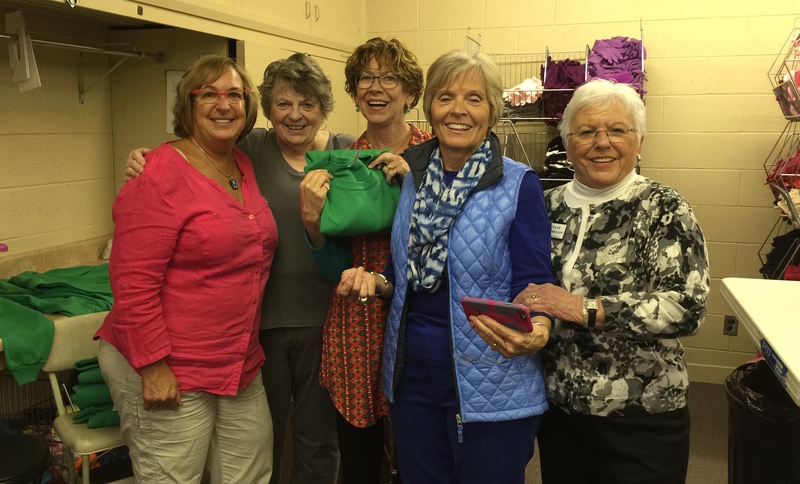 The ladies in the Used Clothing room are always smiling! Warm coats to keep the Indiana chill out this winter! This video, made in 2011, gives insight into a morning at the Center. Gently used clothing donations are always welcome! 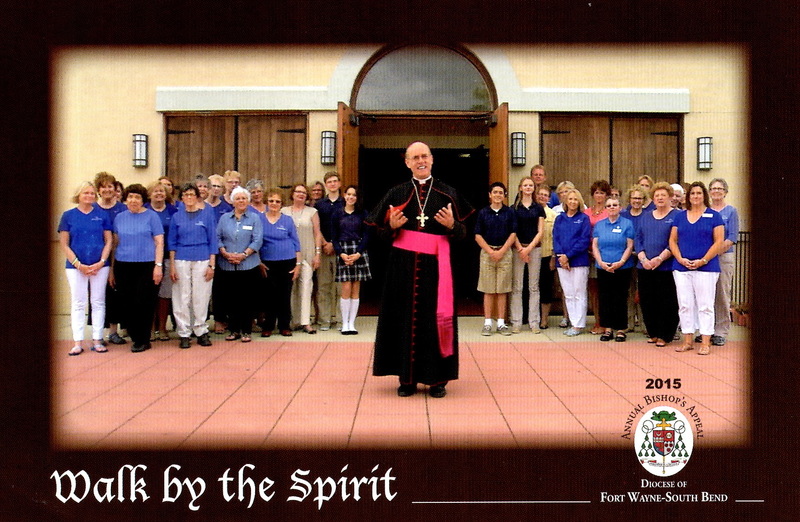 See what goes on at Christ Child in this 2013 Video of our goals and mission. 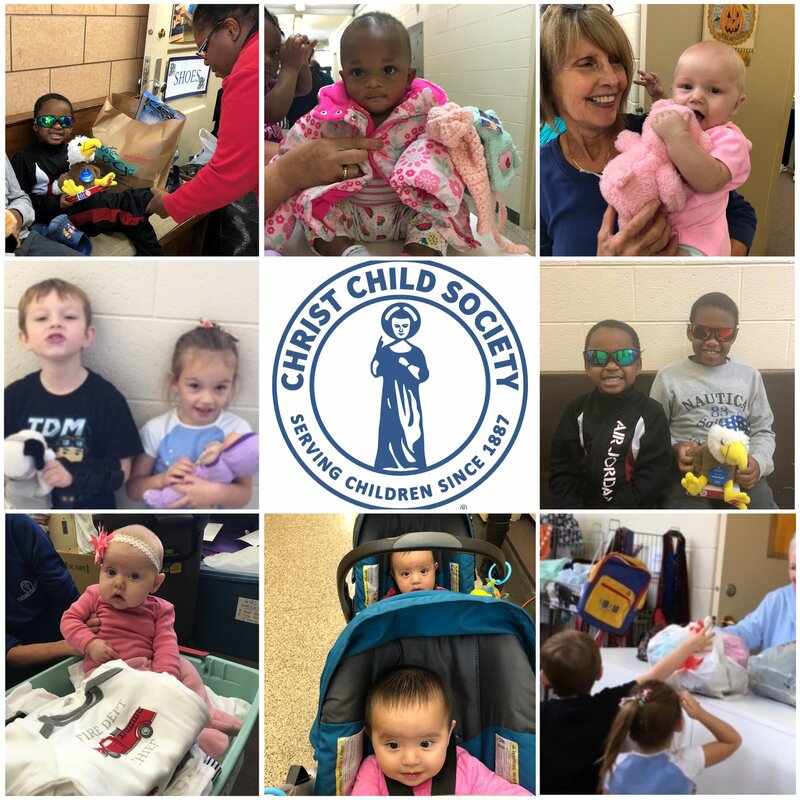 The South Bend Chapter of the Christ Child Society is a non profit 501(c)(3) association of volunteers dedicated to the clothing of all children and infants in need in the love and spirit of the Christ Child. 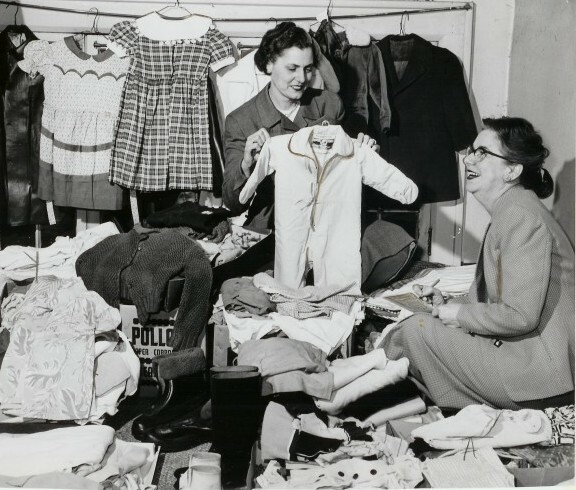 Please join us at 9:30 AM on Wednesday, May 8th 2019 to tour the Christ Child Society clothing center (located at 308 South Scott Street – the former St. Patrick’s School in South Bend)! As you enjoy beverages and light snacks, you will learn what the Christ Child Society is and how you may participate in rewarding volunteer activities, ranging from direct service to the children of our community, fund raising projects, spiritual support, and social opportunities. Membership in Christ Child Society is open to individuals of all religious affiliations who are interested in furthering the welfare of children. To RSVP or for additional information, please call Kristy Botich at (574) 291-7523 or email wbotich@sbcglobal.net. 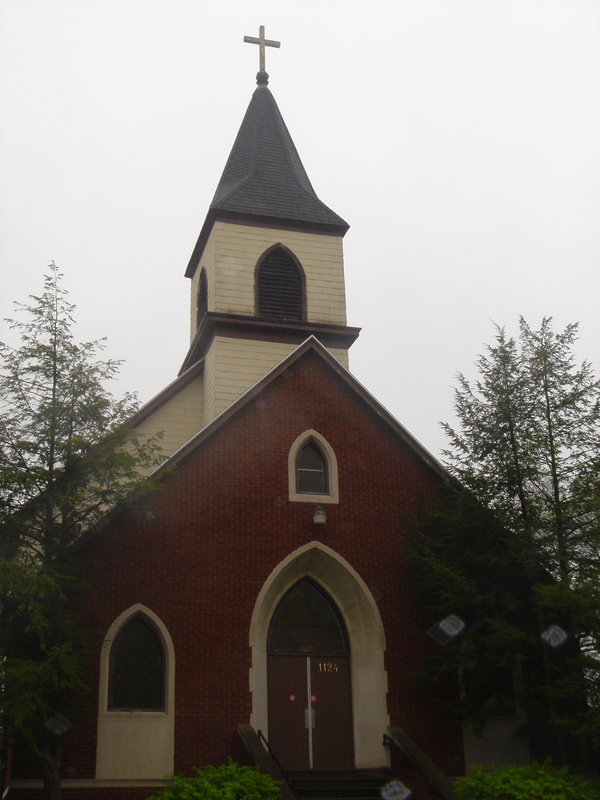 This one day retreat for members and guests is held in Lent. It is an opportunity to come together spiritually and reflect on the many gifts and blessings the Christ Child has given us. It is a chance to reflect, renew, and revitalize our mission. August 9, 2017 will be the first day of the 2017 clothing season.